Herman Cain's latest mistress could put an end to his presidential campaign. On Monday afternoon, Herman Cain, a Republican presidential candidate, got out in front of another round of drama. He revealed on CNN that a woman would be coming forward to say she had an extended affair with him. He called her an “acquaintance that I thought was a friend,” but denied the affair with her. That night, Fox 5 in Atlanta aired an interview with a local businesswoman, Ginger White, (yes, she’s Black) who confessed she and Cain, also an ordained minister, had a 13-year affair. “I’m not proud,” White told FOX 5 senior I-Team reporter Dale Russell. As “proof” of her claims, White provided Fox 5 with Cain’s personal cell phone number, and four months worth of phone records which included calls and texts as late as 4 A.M.
White met Cain in the late ’90s when he was president of the National Restaurant Association. He was giving a presentation in Louisville, Kentucky, and after they shared drinks and he invited her back to his hotel room. She alleges that for the next 13 years, he would fly her to cities where he was speaking and he lavished her with gifts. Many have wondered whether the latest accusation will (finally) derail Cain’s campaign. I’m no Cain supporter, but I’m undecided on whether he should call it a wrap over this latest scandal. Marital infidelity isn’t exactly ethical, but if that is the set bar, then wouldn’t we be getting rid of a whole lot of politicians? I view an affair as a personal matter that should have no barring on his professional qualifications. On the other hand, I can’t help but to think about the havoc Cain’s campaign is having on his marriage of 43 years, which has to be strained by all the rumors about him splashed all over the news for weeks. He’s slipped in the polls, showing voters are lacking faith. Maybe it is time for Cain to head home, if he still can, and focus on what’s left of his family. 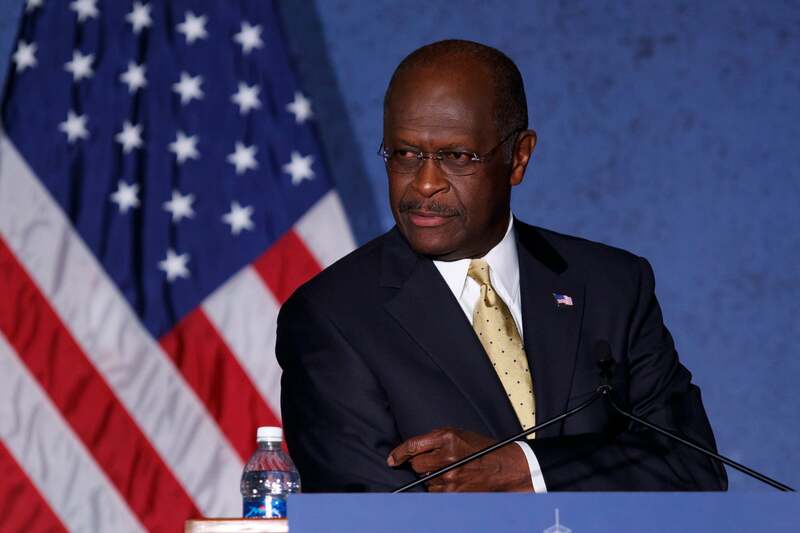 Do you think Herman Cain should continue his campaign?